In 2011, prior to the premiere of Richard Jones’ subsequently acclaimed production of Puccini's Il Trittico, Conductor and Music Director of The Royal Opera Antonio Pappano presented an Insight event focused around two of the three operas, Il tabarro and Suor Angelica. ‘The idea of repeated bits of music, is akin to a groove in pop music or a riff in jazz music', says Pappano. 'It's almost a zen feel', said Pappano. 'You hear this voice from off-stage, from afar. You also hear [music like] bird-song using piccolo off-stage. It's such a tender and sweet atmosphere'. 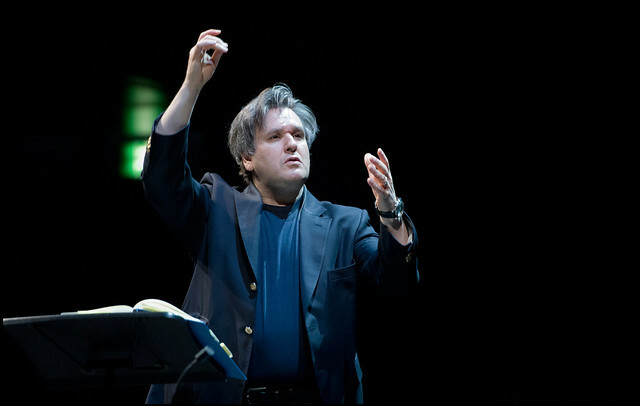 For Pappano it is not simply the musical techniques that hypnotise the audience but Puccini’s ability to employ them around the stage and draw the audience in. 'Puccini was a fantastic theatre man', says the conductor. Il trittico runs 25th February - 15th March. Tickets are still available. No response, as yet to Poppano's article. It appears we have a public who, not surprisingly, would rather have Puccini than Poppano. So now you have at least one response. I absolutely love these occasional investigations into the musical background of selected operas and only hope that you continue to do them. Thank you. Personally, I have limited musical knowledge but I found the information about parrallelism and the connections with Debussy's music so helpful in developing my appreciation of these works. Antonio Pappano, is so much immersed in the creation of his wonderful sound picture, whilst allowing the audience to be absorbed by his passion und musical knowledge. Antonio, what a wonderful ambassador of the Italien Opera. Pappano is a wonderful communicator. I agree with W J Owen's comment about the way he credits his audience. I am not knowledgeable about opera and always learn from his commentaries. He is often putting into words things I have noticed about an opera but don't have the experience to voice coherently. I really enjoy seeing him working alongside musicians too. This tells you a lot about him as a conductor. Most informative. And enjoyable... Papano an excellent conveyer of the purpose of Puccinni .